How much would you pay for a clear conscience? Adelaide Leeson wants to prove herself worthy of her husband, a man of noble aspirations who married her when she was at her lowest ebb. Lord Tristan Leeson is a model of diplomacy and self-control, even curbing the fiery impulses of his youth to preserve the calm relations deemed essential by his mother-in-law to preserve his wife's health. 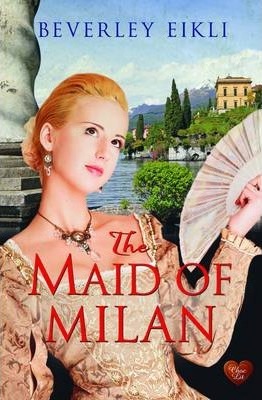 A visit from his boyhood friend, feted poet Lord James Dewhurst, author of the sensational Maid of Milan, persuades Tristan that leaving the countryside behind for a London season will be in everyone's interests. But as Tristan's political career rises and Adelaide revels in society's adulation, the secrets of the past are uncovered. And there's a high price to pay for a life of deception. "Ms. Eikli has penned another wonderfully moving historical! The main characters are dealing with stressful situations while still trying to remain honorable (for the most part). Since the tale begins several years into Addy and Tristan s marriage, we don t have to go through their courtship, which is unusual for a romance, but in many ways, their relationship is still new and forming. Almost everyone is hiding secrets, and as the tale unravels, the reader is drawn ever deeper into the intrigue and back-stabbing of high-society London. Adelaide s mother is horrid, and one wonders why Addy puts up with her, but aside from this, there is something here for everyone romance, scandal, politics, blackmail, forgiveness so settle in and enjoy the ride!"